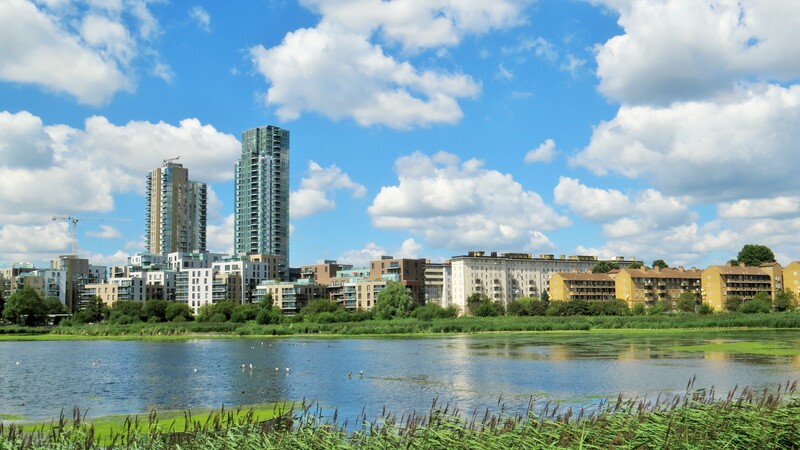 Last weekend, we went for a trip to a brand new nature reserve called Woodberry Wetlands. 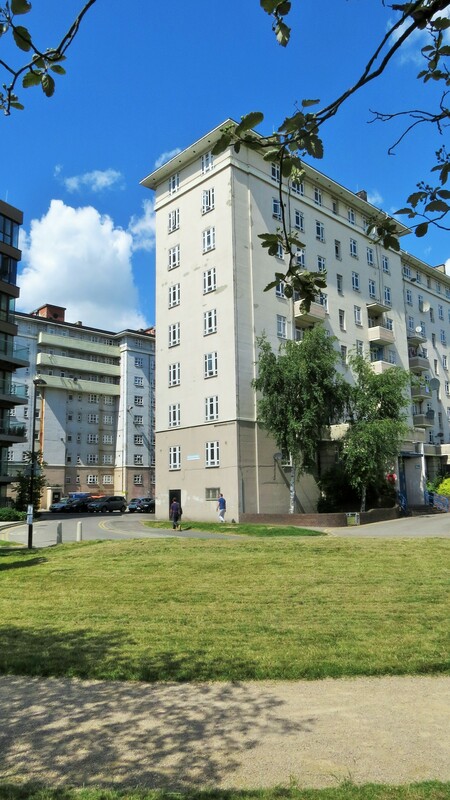 It’s close to Stoke Newington and to Manor House tube station, and is based around two reservoirs. The West Reservoir is used for sailing and kayaking, but the East Reservoir is now a haven for birds and insects. Overlooking it all is an enormous Berkeley Homes housing development. 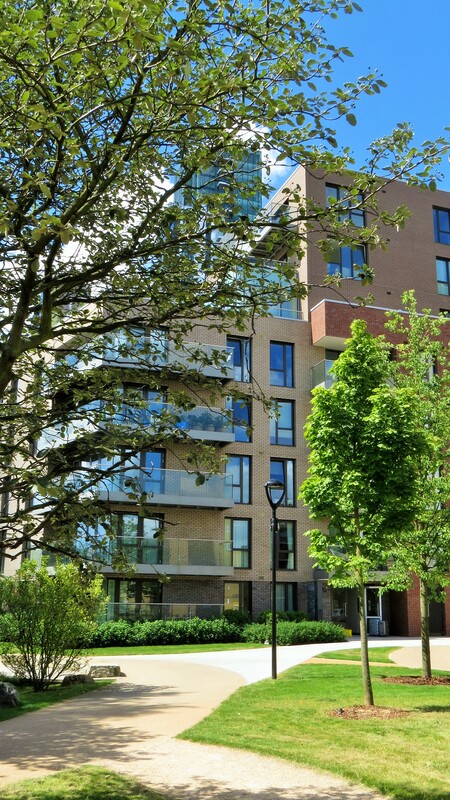 There is a tower (flats starting at £960k) and they are currently working on ‘The Nature Collection’, which should be finished in 2018, and where a 2 bedroomed flat starts at 670k. So much for ‘affordable housing’. As is our wont, we go first of all to the café. It’s a bit noisy and haphazard, but then it hasn’t been open long. There are only two toilets, which I suspect will be a problem on a busy sunny Sunday, especially as everyone seems to come with babies and toddlers attached. It’s all concrete floors and metal chairs, and so the noise level is extraordinary. But then we go outside, and all is miraculously calm. There is a path around half of the reservoir, bordered on one side by woodland, and on the other side by a thicket of reeds which susurrate gently in the breeze. 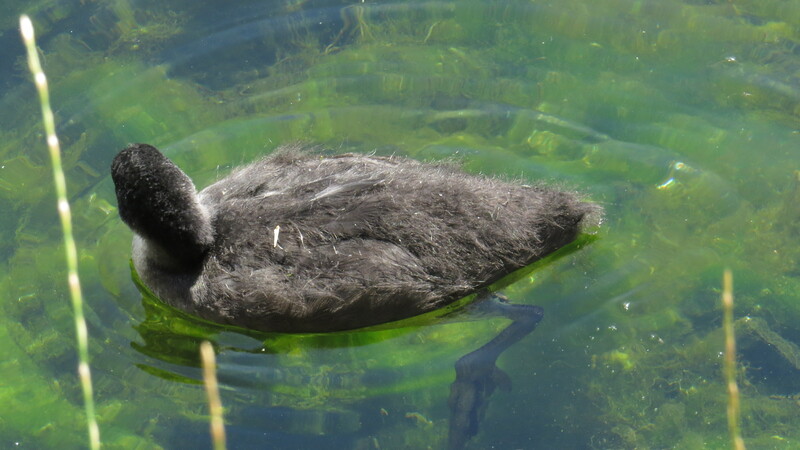 A pair of mute swans have pulled out on to an island in the middle, and there is the sound of baby coots wheezing away to their parents. 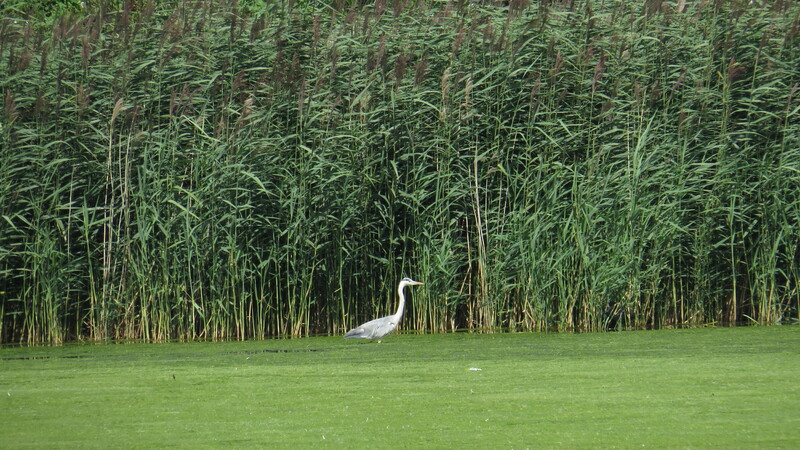 A heron is poised to strike, all focussed attention. A row of herring gulls stand on a ridge in the middle of the reservoir, one leg tucked under, their pale eyes glowering. A little flock of house martins fly twittering overhead, probably on their way south. It interests me how few people are venturing out into the reserve itself. It’s a beautiful day, and the path would be easy for prams or wheelchairs. Maybe the café has become something of a community hub, as there doesn’t appear to be much else around here. Plus, the reserve is free to enter, so you could happily just use the café. There are volunteers out here on the reservoir, cutting back the reeds where they are blocking the water inlets, sorting out some wooden chairs in the little educational unit at the top corner of the reserve. There are beehives, too, and I notice that they run a beekeeping course. There is much here to engage – bat walks, bird walks, foraging, woodland crafts. I’m not sure what woodland crafts are, but I suspect a bit of reed-weaving might be in order. We can’t walk right around the reserve because the path is closed during nesting season (a great idea in my view) but we can walk along the New River Path, which takes us back to our starting point. 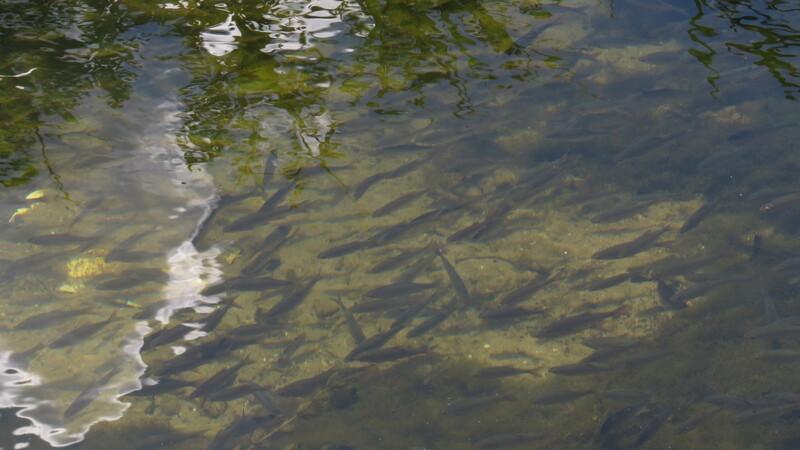 The water is crystal-clear here, and I can see shoals of fish, some of them nearly a foot long. 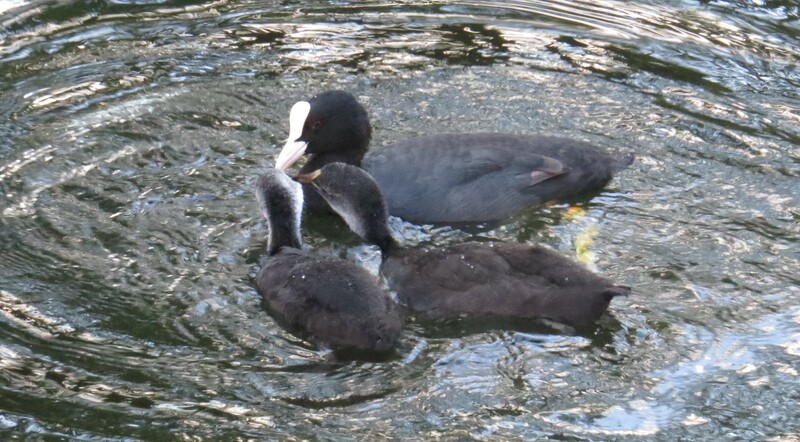 There are the usual coots and moorhens here, and a pair of swans, and dragonflies stitching patterns in the air. If we carried on along this path, we’d end up in Hertfordshire in one direction, and Islington in the other. For the first part of the walk, we are parallel to the council estates that the new development is replacing. There is block after block of mid-rise red-brick apartments, and then one that looks as if it was designed in the thirties. When we get to the end of the walk, John talks to the people in the Marketing Suite (which is how we found out the prices), and discovers that this is the biggest housing development in Europe, and that all the council housing will be replaced by 2035. Of course, that means that the people currently living here will spend the next twenty years living next to a building site. I am also curious to know what kind of housing these people will be offered, and hope that some kind of ‘like for like’ deal has been negotiated. The least we should be doing for folk is giving them something as good as they currently have, but I imagine there will be all kinds of shenanigans before these people are finally rehoused. The sound of pile drivers and the clouds of dust must already be making living here difficult. As we turn the corner, we enter the area next to the flats that have already been built. They do look neat and clean, with landscaped areas and seats and flat pavements. 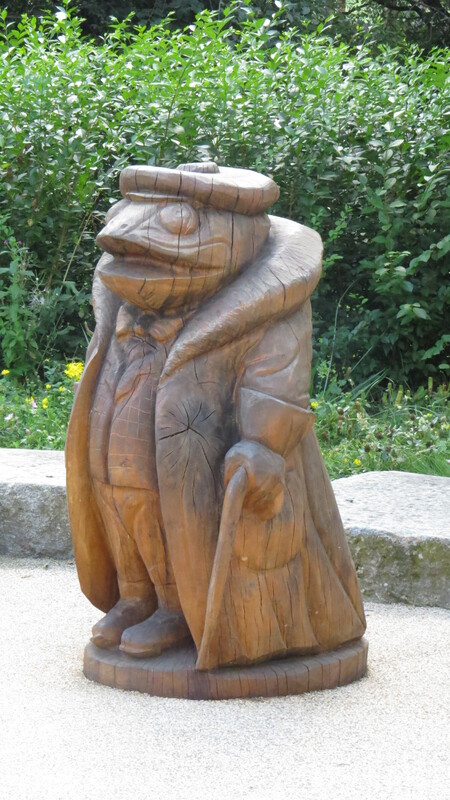 In the childrens’ play area there are carved figures from Wind in the Willows – a Mr Toad and a Mole. But there is something a bit woebegone about the development, as if it doesn’t yet have a heart. The best new developments that I’ve seen have shops and cafes right in the heart of the residential area, so that people can meet one another and socialise. There doesn’t appear to be anything like that here. No wonder the café is so crammed all the time. I imagine that living here would be lonely. 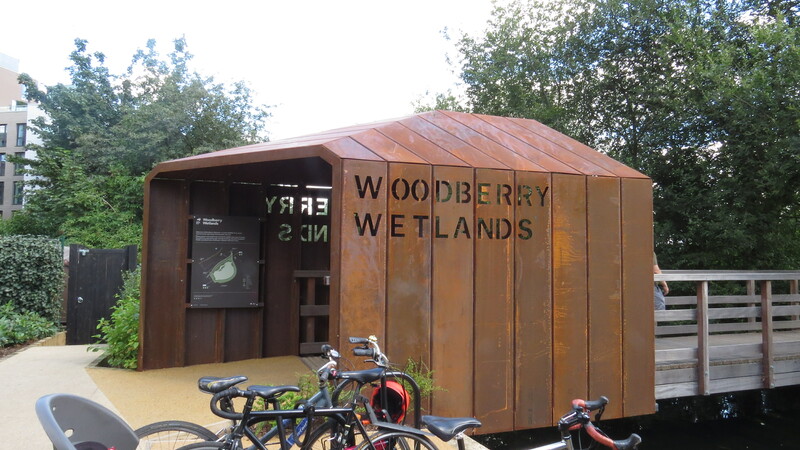 And so, we come back to the entrance, a copper building that covers the bridge into the reserve with the words ‘Woodberry Wetlands’ cut out. 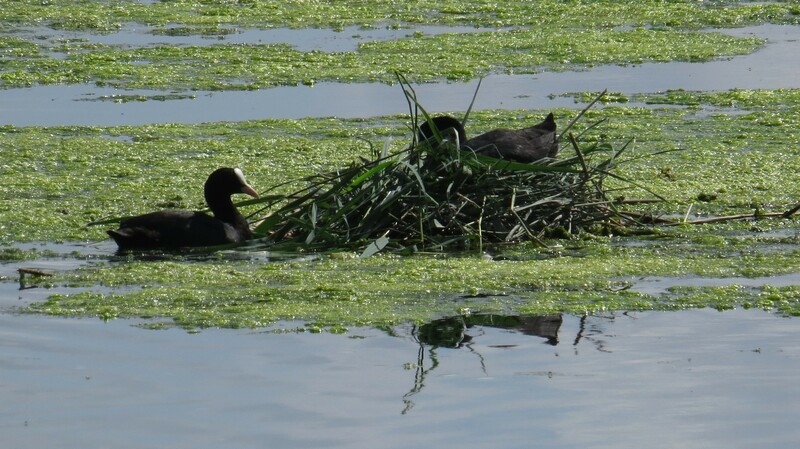 We live in a time when a number of new wetland nature reserves are being created: one on Walthamstow marshes promises to be the largest wetland site in the country. It interests me how much is being done in cities to protect wildlife, even as vast swathes of the countryside become agricultural monocultures or fenced estates where hen harriers and owls are killed to protect grouse or pheasant. There’s evidence that there is now more biodiversity in urban and suburban settings than in many of our supposedly ‘wild’ places, and this is a trend that’s set to continue, I suspect. 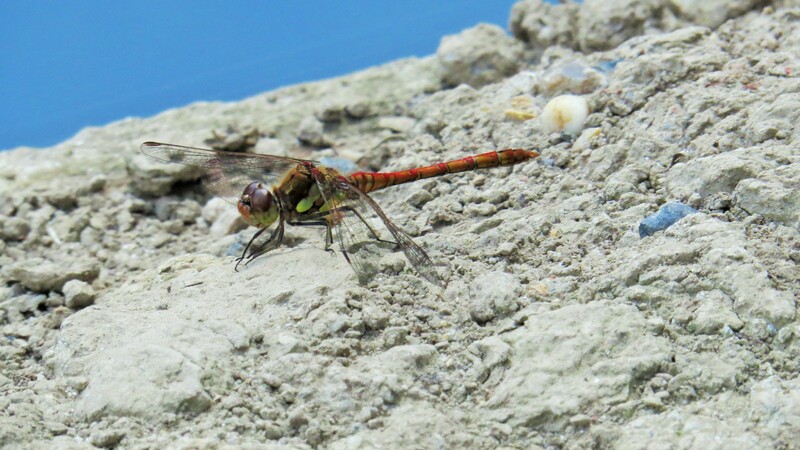 For today, I am just grateful that there’s another place for birds to nest and rest undisturbed, and for dragonflies to crackle through the sky. All photographs copyright Vivienne Palmer. Free to use and share non-commercially but please attribute, and link back to the blog, thank you! 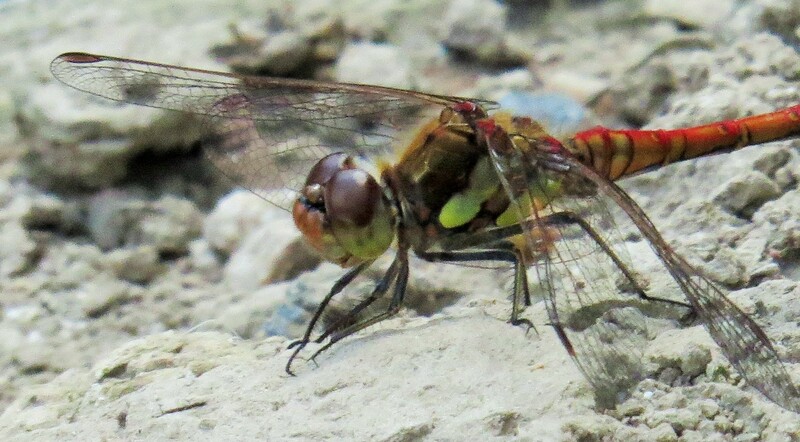 This entry was posted in Bugwoman on Location, London Birds, London Invertebrates, London Places on August 27, 2016 by Bug Woman. well that sounds like social cleansing to me. I’m all for improved conditions for wildlife (beautiful photos especially the dragonfly) but think they should be extended to humans…. Well, they are rehousing people in the same place, so it isn’t social cleansing as I understand it (i.e. they aren’t being decanted to an entirely different part of London),and as I understand it, it was part of the deal that folk would be offered housing on the new estate. I do worry about what kind of housing people will be offered, and how long they will have to wait, though, I agree. Just to make it clear also, the reserve is owned and run by the London Wildlife Trust and, I think, the council, not Berkeley Homes. It is worrying to think of how the people will be re-housed, I do hope that a smooth system will be in place. 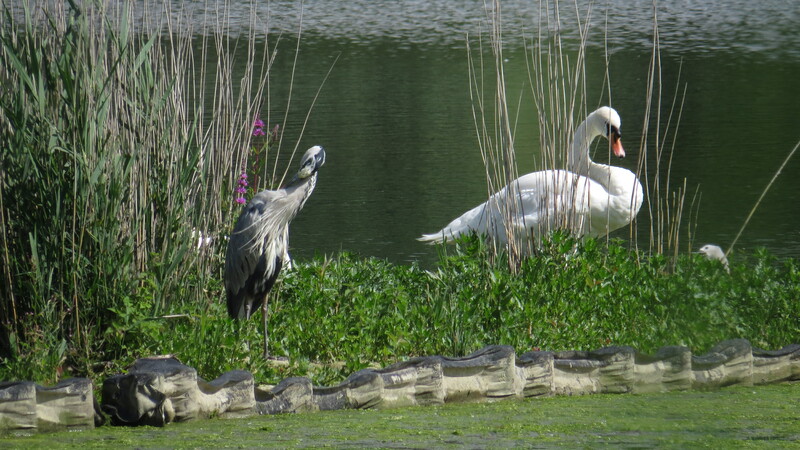 I hope that the wetlands centre is soon a thriving community. 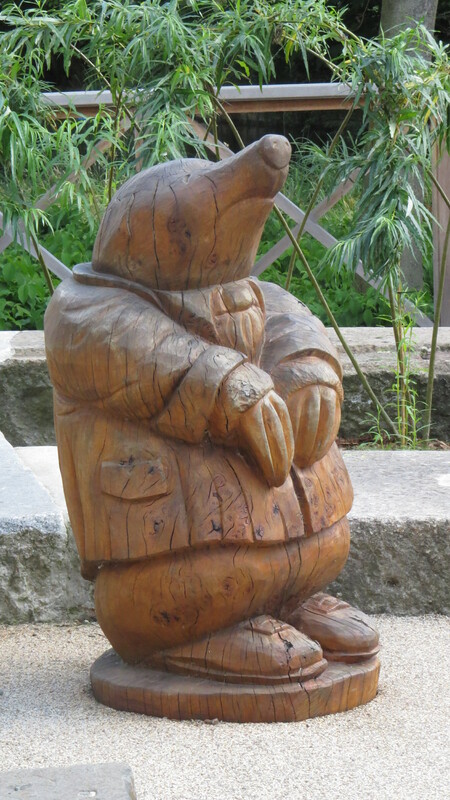 As for woodland crafts, there is spoon carving, bodging (pole lathe), green chairs and basket weaving to name a few. I would love to try out the first two. Ah, I remember bodging from a piece I did ages ago about ancient woodland. What a shame that the word ‘bodger’ these days seems to mean someone who is hopeless at DIY. Yes, that word should be ‘botcher’ I believe. Great post and fab sculptures!